Are the US-Mexican Border Wall Prototypes Land Art ? The news this week that Christoph Büchel is petitioning to have the prototypes for Donald Trump’s border wall declared a national monument has left many in the art world scratching their heads. Perhaps equally perplexing is the fact that the Swiss-Icelandic artist is organising tours of the towering slabs of concrete and razor wire, built at a cost of $3.3m in federal funds and unveiled in October. Tickets, which cost $20 each, cover transportation, “professional guidance” in English and Spanish and refreshments, according to the website for Büchel’s strictly non-profit project, which is titled Prototypes and sponsored by the MAGA group (the acronym recalls the US president’s campaign slogan, “Make America Great Again”; Büchel is behind the MAGA organisation). Tours depart from the Museum of Contemporary Art San Diego, stopping at the Instituto Municipal de Arte y Cultura in Tijuana before continuing on to the border wall prototypes. Büchel’s reasoning behind the project? “[The prototypes] need to be preserved because they can signify and change meaning through time. 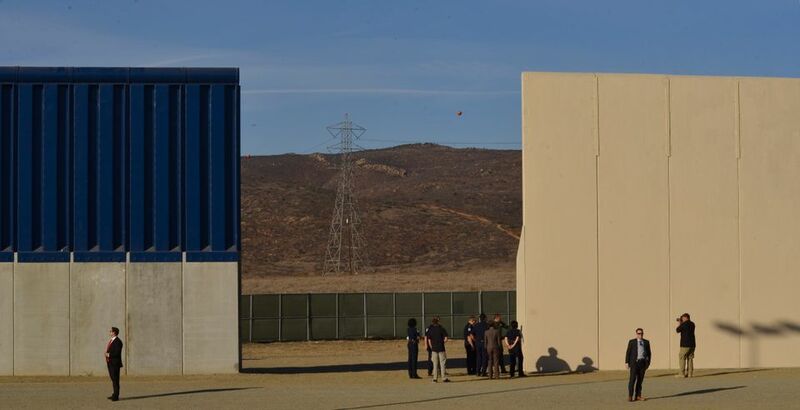 They can remind people there was the idea to have this border wall once,” he told the New York Times, citing the land art of Donald Judd and Stonehenge as comparable examples. Describing the eight border wall prototypes as a free “land art exhibition” that is “on 24/7 view”, MAGA’s website provides detailed directions of how to find them (“use caution, avoid travelling alone”, it advises). However, those wishing to be accompanied by an expert eye (unlikely to be Büchel, who only led the first tour) may have to wait some time. According to the project’s website, tickets for the next tour on 13 January are sold out.